Breville’s Blend Active range of blenders are designed to make family life and the morning routine as simple as possible. That’s why our design team have fitted the range of products with a selection of clever little features to make use and maintenance extra easy. These features combined with the great functionality of the appliance mean that the Blend Active range can help you whip up a huge amount of different drinks and snacks. If you’re interested in discovering just how powerful and versatile the Blend Active range could be, we have compiled answers to all the most common questions about the products. From their power source to their complete capability, we’ve answered the big questions as comprehensively as possible. For those who are new to the Blend Active range of products from Breville, we have gone back to the start, offering a small introduction to the range in the ‘What is the Breville Blend Active’ section. We understand that there are a huge number of blenders on the market, so it can be difficult to identify which is most suitable to the needs of you and your family. We hope that our answer demonstrates the unique qualities of the Breville Blend Active range, helping you identify how it can benefit your family life. Or if you have already purchased a Blend Active product from Breville and it has experienced a fault of any sort, our FAQs can answer some of the more common concerns. The comprehensive Spares and Accessories section of our website contains many replacement parts for the Breville Blend Active range of blenders. If you have any further questions about the Blend Active range of products from Breville, please do not hesitate to contact us or call our customer service team on 0800 525 089. 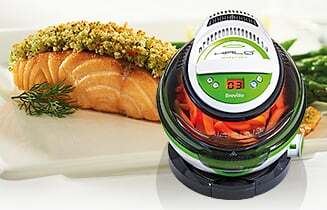 What is the Breville Blend Active? 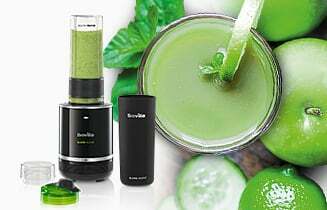 The Breville Blend Active is a personal blender with a portable bottle. The Blend Active comes with a blending unit, a sports bottle (depending which model, you will get either a 600ml or 500ml bottle. Some units come with multiple bottles, please check the product descriptions. ), a blade cap and a leak-proof lid. To use the Blend Active you simply pop your ingredients into the sports bottle, add the blade cap and insert onto the blending unit and press 'blend' until smooth. You then remove the sports bottle from the base unit, replace the blade lid with the leak-proof lid and you're ready to go wherever you need to with your Breville Blend Active smoothie! 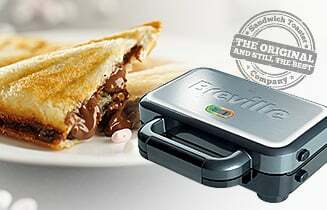 Can you make milkshakes with the Breville Blend Active? You can make milkshakes with the Breville Blend Active. Visit our recipe website www.turnonyourcreativity.com for Blend Active recipes. Is the Blend Active mains or battery powered? 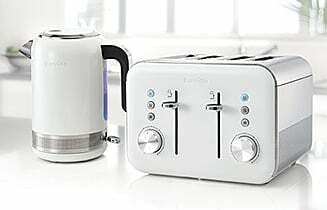 The Blend Active is mains powered. What makes the Blend Active portable is the removable bottle where you blend all your ingredients and then take away with you wherever you need to go! Can I purchase replacement bottles for my Breville Blend Active? Yes, you can buy replacement bottles for your Breville Blend Active on this website. You can buy a new blade by visiting our 'spares and accessories' section, or contact us.